Red Hills is an ecological fragile region in Nilgiri Biosphere Reserve. It is in the state of Tamil Nadu and is just 28 km away from Ooty. The place is rich in beauty of nature surrounding it. It has calm and cool ambience. It is abundant with lush green landscapes and forest. The environment is unexploited yet and therefore it offers eco- friendly tourism. 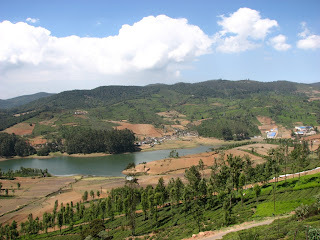 Red Hills offers tourists fascinating views of nearby Nilgiri (blue hills). One can also see beautiful views of vast area of under tea plantation. Red Hills houses many lakes in and around it. These lakes are main tourist attraction of the region. There are about eight lakes around Red Hills and each one of them has its own special features which mesmerize the onlookers. Avalanche, Emerald, Porthimund, Upper Bhavani and Parson’s Valley Lake are some of them. Here you can also enjoy the activity of fishing. Numerous species of bird are seen flying over the lakes. These lakes offer ideal places of picnic spot and many tourists frequently visit the place to explore the beautiful nature. Govind Ballabh Pant Zoo is another place of attraction you can visit. It is located near the Red Hills and houses various animals like elephants, Bengal tigers, monkeys etc. The region has pleasant climate during summer and winter. Monsoon season is also good for scenic beauty of its lakes. September to May is the best time to visit the place. How to reach:Many state run bases are available to reach Red Hills from Chennai, Ooty, Bangalore and other parts of the state and the country. Mettupalayam serves as the nearest railway head to Red Hills. The railway station is just 40 km away from it and is well linked to Coimbatore, Chennai and other parts of state and the country. Coimbatore Airport is the closest airbase to Red Hills is about 100 km from it. The airport is connected to by several flights to other major cities of the country.